You might have noticed that some of the results in google search display author’s profile picture with Google Plus ID along with their posts. I’m going to explain you about how you can show your picture in google search result whenever your website is listed in search result. Just follow the steps what i have mentioned. But before doing so I would like to let you know about who can do this ? A website owner or blogger or even an article writer can show their picture in google search result page. All you need to do is to follow these steps. But before that I would also like to let you know about how your picture will show in google search result page. Here i have mentioned myself in google search result while searching my article on google. This is same how your picture will look after you will do all the thing I’m going to tell you. Okay what you need to do is to follow these steps. NOTE: You must have a Google Plus account to begin with tutorial and if you already don't have Google+ account, you can make one for free by visiting http://plus.google.com. Fill out your profile as completely as you like. For our purposes here, you must include a profile photo (use the same one you use on your blog). This should be a clear headshot. Step 1 : Just Create an “about me” or “any page viewing you information” on you blog and link that page to your google profile. Step 2 : This is important. While creating the hyperlink to your Google Plus Profile page, Please remember to add rel=”me” to the link. as shown below. 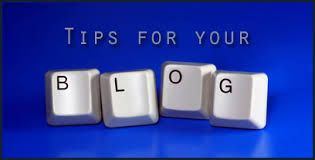 Step 3: In this step you must ensure that the blog articles you have written have a link to your “about me ” page. This hyperlink should have the rel=”author” attribute as shown below. Step 4: This is the last step. Sign in to your Google Profiles account and and add a new custom link that points to your “About Me” page. Tick the option that says “This page is specifically about me” and save the changes. You are almost done. wait when google will crawl you website again and your picture will show on google search result page. NOTE: Google takes sometime to show these images. It can vary from person to person, so keep patience.